It’s nearly 2018 and at our embroidered patch company, we’ve been discussing our New Year’s resolutions. 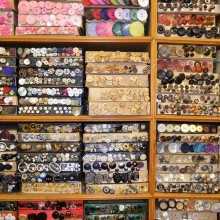 While most people will vow to lose weight or make better health choices, we know there are some crafters out there with creative resolutions of their own. 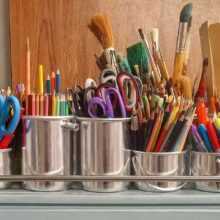 Here, we share some of our favorite resolutions for those who love arts & crafts. Spring is officially here and with it comes light jackets, capri pants, lightweight shirts, and more. Since embroidery is one of the hottest new fashion trends, why not spruce up your spring wardrobe by incorporating some of it into your clothing? Here are some ideas for you to try this season. A new year is fast approaching and each year, we all make resolutions to make ourselves better, try new things, give up old habits, and more. 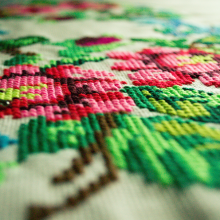 Whether you’ve been embroidering for years or you just took up the hobby, there’s always room for experimentation. It’s time to head back to school and at American Patch, we know your backpack plays one of the biggest parts of any school year. Whether you’re using your old one or buying a new one, our embroidered patches are a great way to personalize it and show all of your classmates who you are. 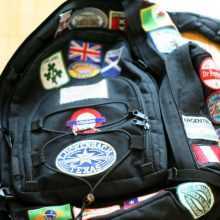 Here are some of our most popular backpack patch ideas. If you think embroidered patches are just for the military, Girl Service Troops, Boy Scouts, or sports uniforms, think again. 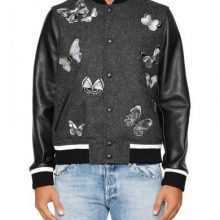 Custom embroidered patches are making a huge comeback in the fashion world and these days, celebrities of all kinds are sporting them on a variety of clothing articles. Here are some stars and their embroidered patch style. At our embroidered patch company, we love stumbling across great quotes and sayings – especially when they’re about sewing, quilting, crafts, and more. We thought we’d compile a list of 20 great quotes for you to enjoy.